At some point in early Spring, your lovely, dug over brown expanse of plot that you have prepared over winter and is ready and waiting for you to plant this years crop, will turn into a mass of weeds. One week it won’t be there, the next week it will be overwhelming! Actually it doesn’t happen quite that quickly but it can feel like it. So how to cope? Firstly – what sort of weeds are they? Deep-rooted perennial weeds (which die down in the winter and re-grow each spring) will re-grow from their roots even if the tops are removed or burned off. Bindweed and many other perennials can brow again from the tiniest piece of root. They can be difficult to dig out but (unless you want to use weedkillers) this is the best way to get rid of them – very careful and methodical digging over. Hoeing (my favourite): Run a hoe over a bed or between rows to kill most weed seedlings. For maximum effectiveness, choose a dry day with a light wind, so that the seedlings will dry out on the surface of the bed rather than re-rooting into moist soil. The key to hoeing – do it before you see the weeds! Make it a regular job on every bit of clear ground – prevention is better than cure! Hand weeding with a fork: (Not my favourite but i seem to spend a lot of time doing it! ): Pull up annual weeds by hand before they set seed. Perennial weeds should be dug out with as much root (or bulb) as possible, using a hand or border fork. Hand weeding is easiest on lighter soils and should only be attempted where it will not disturb the roots of garden plants. 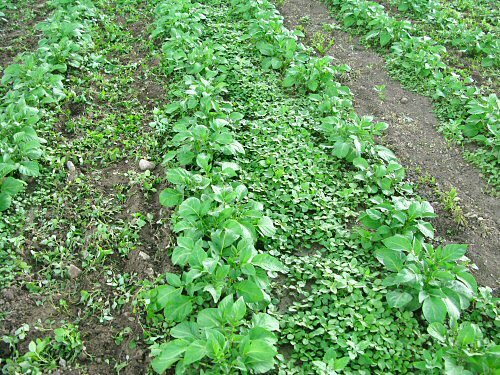 Further pulling may be necessary with persistent weeds such as bindweed or couch grass where small root sections left behind can re-grow into new plants. 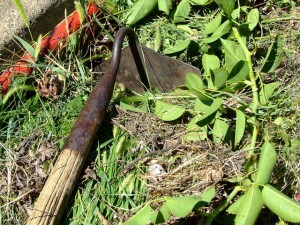 Weed knife and other weeding tools: A weed knife has a hooked end and is a useful tool for weeding between paving slabs and along path edging. Various other hooked, narrow-bladed or spiral-type tools are available for specific weeding jobs such as digging out dandelions on a lawn. Repeated cutting: In large weedy areas, repeated cutting to ground level over several years will weaken and even kill some weeds. This is usually done with a strimmer or sickle-type weeder. 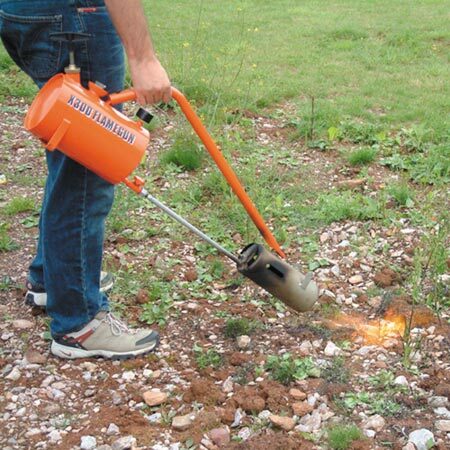 Flame gun: Scorch off weeds between paving slabs and on driveways by blasting them with a flame gun. 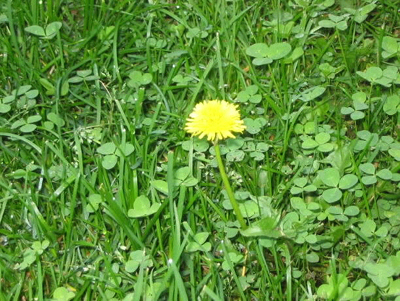 Use only when the foliage is dry and allow sufficient burn-time for deep-rooted weeds, such as dandelions, to be killed. 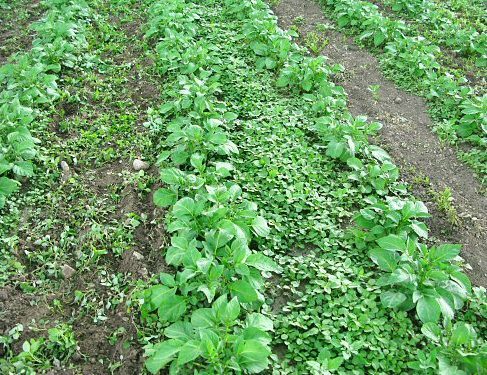 Weed-suppressant fabrics: Groundcover or landscaping fabrics can be laid over recently cleared soil to suppress re-growth of old weeds and prevent new weeds from establishing. Do not presume you can use ground cover to kill weeds on an allotment – to be effective they need to be there for at least two seasons – by which time you will have been kicked off the plot! These work best once weeds have been removed – as a preventative measure rather than to smother established weeds. And remember – even then persistent perennials will eventually grow through or around them! 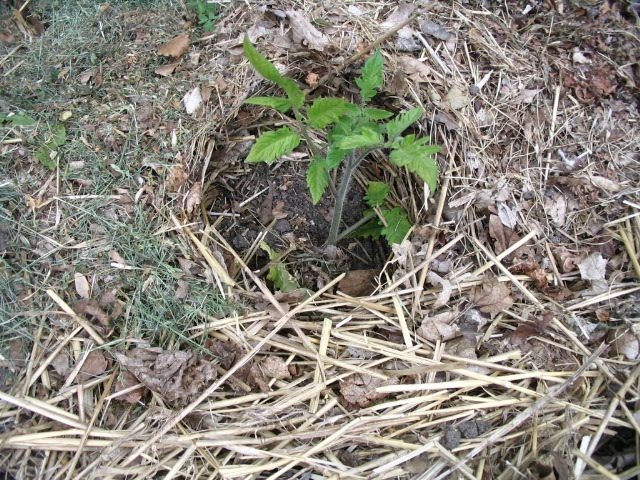 Mulching: Use deep organic mulches such as bark or wood chip around plants. To be effective, keep them topped up to a minimum depth of 10-15cm (4-6in). 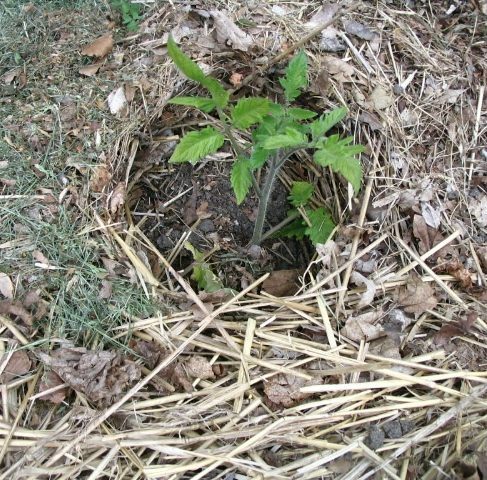 Keep woody stems clear of mulch to prevent rotting. Good for keeping weeds of paths but don’t forget to clear the weeds first!!! Strimming the grass and covering with woodchip WILL NOT WORK – you’ll just have woodchip in amongst your grass! To use woodchip on paths, take off the top level of turf (turn it over, pile it up and cover – it will compost in a year), dig out the topsoil and use it on your beds, cover the path bottom with 8 layers of newspaper or one layer of cardboard (weed suppressant fabric is better but more expensive) and THEN cover with woodchip. Edging boards or strips: These can be used to edge lawns and grass paths to prevent unwanted grass growth into the border. Especially useful where invasive rooted grasses such as couch grass are a problem. Just like your plants, weeds need water to grow. 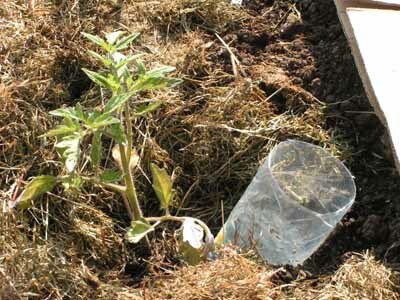 For plants like courgettes, bury a plastic bottle with the bottom cut off in the ground, neck down (cap off!) at an angle pointing to the root. Water through this – it will go straight to the root and feed the plant but leave the soil around dry. Point your hose/watering can at your crops! It might seem easier to leave a water spray on but its wasting water, probably reducing the pressure on your site and will encourage weeds. Only water where you need it.